We are one among the trusted model maker of a Landscape Planning Model.A Our designers make use of state-of-art technology and latest tools in rendering these reliable and quality land use planning model services. We are a top notch supplier of Landscape Model. 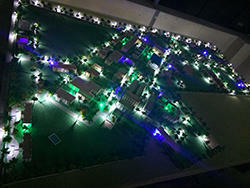 "Aadhar model makers" is specialist in all kind of detailed models specialy land use planning models. We use also laser & cnc machine. Our craftsmen make each part by hand and build them precisely to plan. We are indulged in offering superior quality Land Use Planning Models to our esteemed customers. These products are manufactured using latest methodology in compliance with the international standards. We are offering Industry Landscape Models Making which is recognized by our clients due to their high quality, durable finish standards and longer life. Made as per the prerequisite quality guidelines, these Industry Landscape Models are further tested on certain parameters before final delivery. Banking on our enriched industry experience, we are able to supply Land Use Planning Models. The company Ranro Models posses a great talent pool in the domain of architecture landscaping model. We specialize in providing services to some of the top companies. We are amongst the most reputed names in the industry, offering Land Use Planning Models. We are a top-notch organization, engaged in providing Land Use Planning Models. 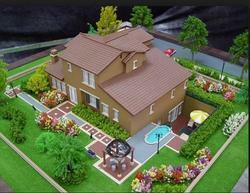 We are engaged in offering Landscaping Model. In order to meet excellent quality standards, we are supplying Land Use Planning Models.